Meet my newest creation, The Chocolate Coconut Butter Bar. These little bars of joy are made with coconut butter, raw honey, vanilla extract and soy free chocolate chips. That’s it! They’re so easy to make, it’s dangerous! You may need to keep these ingredients out of your home just so you’re not tempted to make them daily. You are warned. 😉... These Low-Carb No-Bake Chocolate Coconut Bars are made with coconut flakes, natural peanut butter, cocoa, and dark chocolate. It’s gluten-free, vegan, low-carb, keto, dairy-free and very delicious! This bar recipe will become your favorite of all the low carb snacks! Peanut butter protein bars made with simple, healthy ingredients like oats, peanut butter, chia seed, coconut and protein powder. Drizzled with chocolate and a little sea salt.... 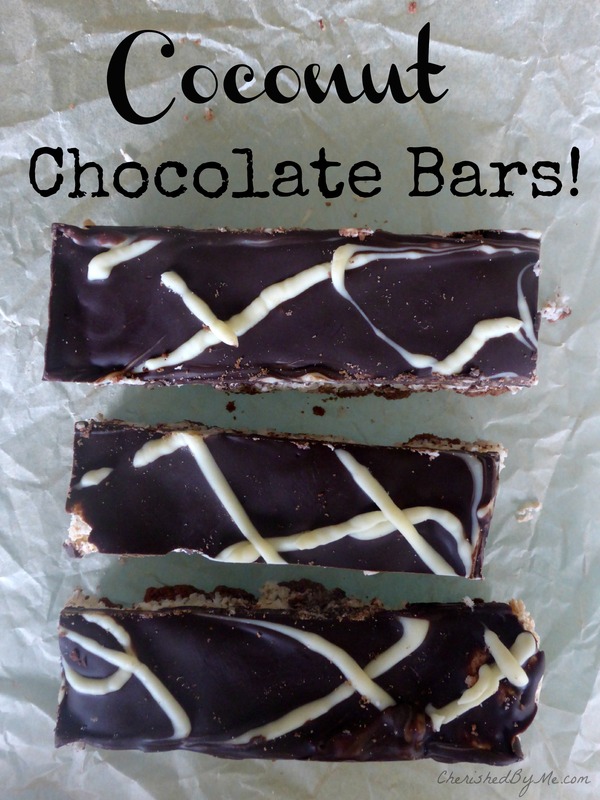 These Chocolate Coconut Bars are a classic recipe from the Australian Women’s Weekly. No fancy ingredients (just good quality cocoa). Perfect for school bake sales or to bring to work for morning tea. For at least 30 years I've made a similar bar called a "Five-Layer Bar". The only difference? After the layer of chocolate chips, layer 1 cup of butterscotch chips. Then continue with the coconut and sweetened condensed milk and bake as directed. Super decadent! I always say you need a bowl of vanilla ice cream to act as a chaser after eating one of these bars! Super easy to make…... 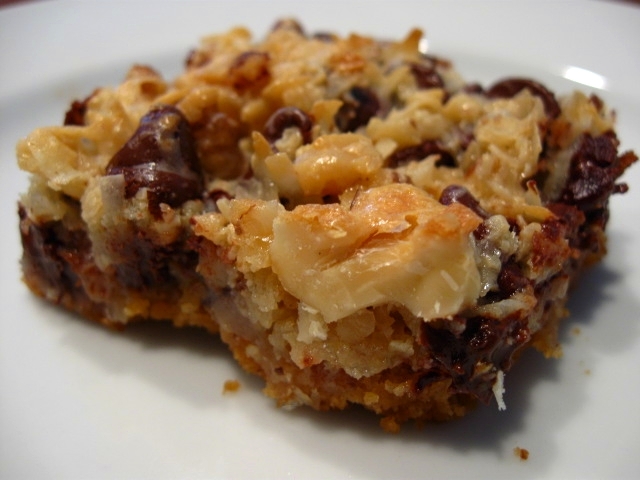 These Chocolate Coconut Bars are a classic recipe from the Australian Women’s Weekly. No fancy ingredients (just good quality cocoa). Perfect for school bake sales or to bring to work for morning tea. Take the coconut filling with the chocolate bottom out of the silicone mold and place the “naked” bars on a baking rack. (Make sure a baking tray with parchment paper is beneath it.) 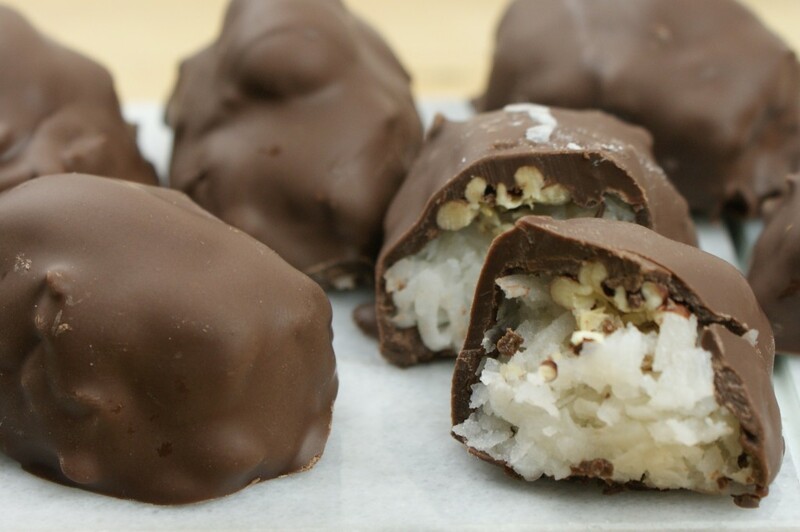 Pour the melted chocolate over the coconut bars and chill them again for 30 minutes.